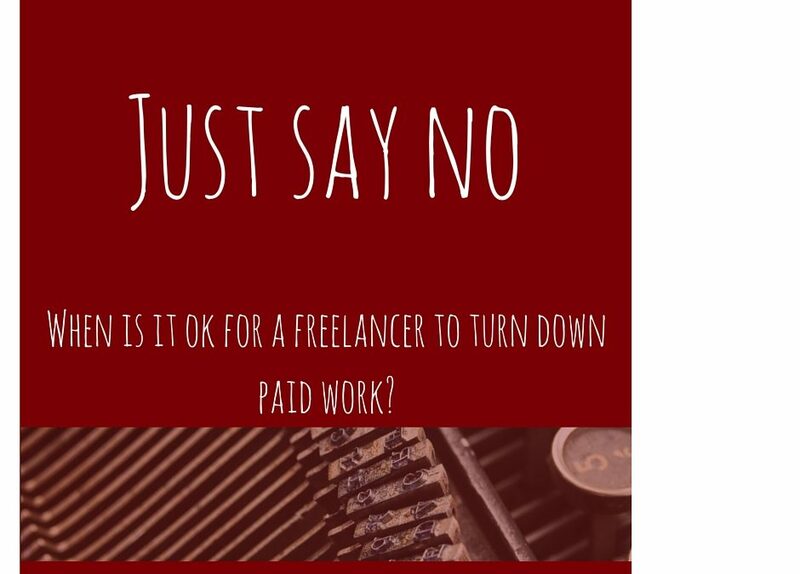 Should a Freelancer Ever Turn Down Paid Work? Setting up as a freelancer in any discipline is a tough gig. We all know this. If you’re lucky, you can leverage a few clients from your employee days to set you off along the road. But for the rest of us, with little experience and even fewer contacts, staring into the gaping maw of empty diaries and silent phones is enough to give us the willies. And as a wise man once said (it was Yoda actually) fear eventually leads to the dark side. For a starving freelancer, our dark side manifests itself in the form of unsuitable work that we accept purely for the money. This isn’t the same as accepting work that doesn’t interest us or that we feel is outside our comfort zones. The former is always going to be around and grateful we should be for it, and the latter should be grasped with both hands if we ever want to grow our businesses. The type of work I mean when I call it unsuitable is perhaps better described as ‘toxic’. It’s the unreasonable deadline, the crazy low pay (usually accompanied by the promise of better rates in the future), the overly demanding client, or the perhaps questionable ethics behind the project. It seems counterintuitive, but for a freelance business to thrive, it will eventually become necessary to turn down work. Deciding which projects to take a swerve on is something that comes with experience. Andy’s Mini Advice Guide To Turning Down Work, But Doing It Nicely So As To Not Get People’s Backs Up And Stuff. This is always going to be one of the big problems for the beginner in any freelance field. You’re desperate to get your name known in the industry and to show the world your chops, and you know you’re harbouring some fearsome talent that just needs to be set free. But, how to get it out there on display? You’ll have to come to terms with the fact that you’re probably going to have to accept some jobs that pay below what you know you’re worth. But there has to be a cut off point that you just won’t go beyond, and it won’t be the client who sets it. You need to have your line in the sand drawn and recognise that to some clients you’re seen as merely the cheapest form of labour available. If it’s a project that you can genuinely say, hand on heart, will be a great boost to your reputation and make your portfolio shine, then by all means take it as a loss leader. But beware of the ‘promise’ of well-paid gigs to come in some far off, mythical future. The photography industry is rife with this kind of work. Potential clients would explain excitedly about just how wonderful their new peanuts paying shoot would look on my website. I lost count of the number of times I was forced to politely explain how I was quite happy with the look of my portfolio-it was the latest bank statement that was causing me some alarm. It can be frustrating to go through the same rigmarole time after time, but regardless of how irritating it gets, always remember how important your personal reputation is to your business. Try not to take an insulting pay offer personally and always be polite in your dealings with potential clients. They’re just business people trying to get the best deal they can and no one wants to overpay for services. Explaining that the price they’re after is one that would make it impossible to produce my best work has yielded very positive results on a few occasions, and has opened the door for more realistic negotiations and interesting projects. Always make the objection about the quality of the work you’d be able to produce rather than the size of the compensation that’s being offered. It will make you sound like the conscientious professional that you are. If they’re never heard from again, console yourself that they’re some other poor sucker’s problem now. 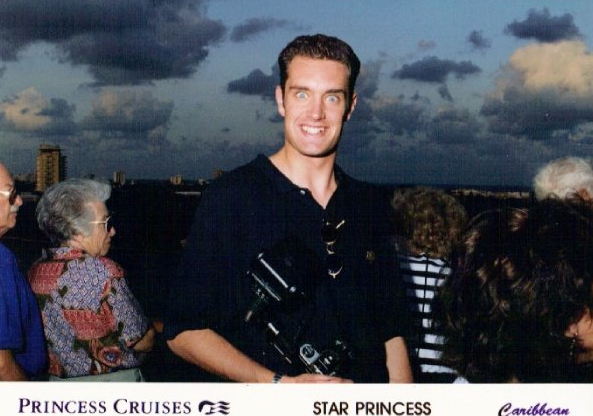 I used to work on a cruise ship back in the day, back when I was young and adventurous and had hair. All the crew aboard my ship, and indeed aboard any cruise ship if you care to ask around, were agreed on one universal truth; it would be the greatest job in the world if it wasn’t for all the passengers. Very occasionally, you might get the same feeling about your clients. Bad clients are rare, thankfully, but come in all shapes and sizes. Learning to deal with each exotic species in a way that won’t harm your business or your reputation is one of the most crucial skills that you can learn as a freelancer. Prevention is better than cure with challenging clients, so clear communication and well-defined boundaries early on can help the smooth running of the relationship. (Sailing! I could’ve said smooth sailing! Damn it! Ah well). A lot of heartache can be managed before it even occurs by setting up a cast-iron contract, describing the scope of the work that will be done and that which will not. Make sure it includes agreed on deadlines, number of edits, communication updates and a detailed breakdown of the pricing structure. A strong contract eliminates any doubt over what both parties agreed to and prevents time-consuming and expensive add-ons to the project. For the clients who just can’t seem to leave well alone and feel the need to micro-manage every step of the way, it’s important to establish in their minds that you are the expert and to show off the expertise you were hired for. Make your voice heard (politely). It takes a lot of self-belief to thrive as a freelancer. If a client senses that you lack confidence in your own abilities, it can lead them into feeling the need to watch over you. It can be a tricky one to gauge. At no point do you want your client to feel or look stupid, even if their suggestions seem naïve. Do all you can to explain why their approach won’t work and reassure them that you know what you’re doing-it will give them the confidence that they made the right decision in hiring you. As for the late payers, again, this can be managed upfront. Most freelance copywriters set up payment terms of 50% before the work is started and then, depending on the size of the project, staged payments throughout. If you’re chasing a late payment and have exhausted all other avenues, consider bringing in professionals. Hiring a debt collection agency to contact your late paying clients might sound extreme, but it is much more likely to yield results and frees up your time to spend on the work you should be doing. Ok, so when I was at the very beginning of my career as a freelance copywriter, having hoofed my way over from photojournalism, I discovered the wonderful world of the content mill. Here were pages and pages of people willing to pay me the price of an entire bag of apples for a mere Bachelor’s degree thesis length project. Thinking myself no end the professional writer, I accepted gigs for eBooks, website rewrites and so on. But even I had to draw the line at one job. Answering a typically vague job description garnered a personal email from the vendor, who rather sheepishly filled me in on all the gory details. He needed a lot of captions for his, shall we say, ‘adult interest’ website. I’m led to believe that these sites are somewhat prevalent on the Internet, and he was prepared to pay $100 for just 100,000 characters, to describe the activities on a seemingly never-ending procession of videos. Even as a starving novice, I couldn’t see the advantage of taking on so much work. It wasn’t as if it was going into my portfolio once I’d finished. So, much to the chagrin of several of my coarser friends, I politely declined. While the job itself didn’t bother me too much on the ethics side, I know there are plenty of others that it might have. 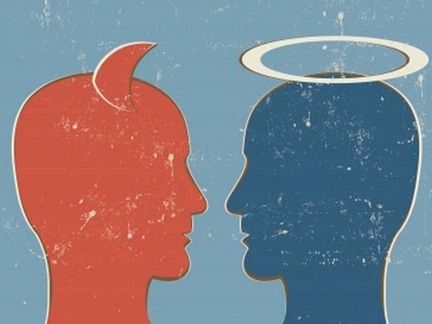 We all have our personal moral standards and it pains us to breach them. Where you draw that line is, of course, your own business and it’s a mighty tricky one. Drill down into any successful company’s practices and the chances are you’ll find things you wouldn’t want to know. Do you turn down a blue chip client because its products are made in a far eastern factory with working standards that would never be allowed in the west? What about companies that employ technically legal yet morally abhorrent tax avoidance schemes? Tobacco companies? Gambling websites? In a perfect world, we could afford to turn down these potentially very lucrative clients if they clashed with our ethics. But there just aren’t enough Vegan and Pescatarian Collectives to sustain us all. I know the types of client that I absolutely won’t work with and the ones I absolutely will. Between the two is the grey area that gets decided on a case-by-case basis. So that’s my mini guide. If you just skipped to the end (and who could blame you?) my all-encompassing tip for turning down work for whatever reason would be this—be professional. Regardless as to whether or not you can imagine a situation where you would ever work with that particular client, he or she is also a professional and deserves to be treated as such. Even the bridge that leads nowhere doesn’t need to be burned.